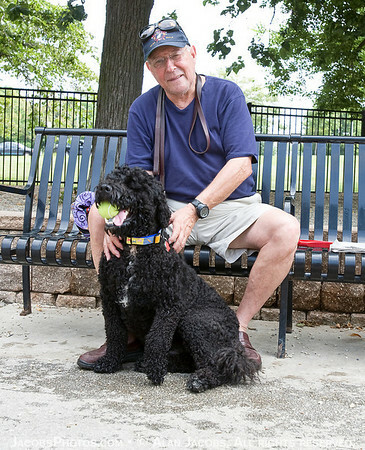 Puptown is a Dog Friendly Area (DFA) in Chicago's Margate Park where dogs can run and play off-leash. Built in 2000, Puptown features 16,230 square feet of fully-enclosed fun (view the site plan). The photographer and Charlie. You decide who is who.